I have been at my home for a little over 10 years now, so things are breaking! Two summers ago my Air Conditioner was on the fritz. It would frequently have to be manually reset. The thought of having to fork over tons of money to have it fixed had me freaking out. I don’t have an emergency fund (more on that in another blog), so if it broke, we’d have to give up food for the rest of the year! BUT, a friend told me about home warranties. With a home warranty, you pay a monthly fee that covers household repairs for major appliances, plumbing, electrical, etc etc. It is another monthly expense but it is also a peace of mind. I was able to save a a lot money in repairs for my AC. I only had to pay a $100 deductible while they worked on my unit for several days. Most recently, we had some plumbing issues that was way above my “handyman” level. 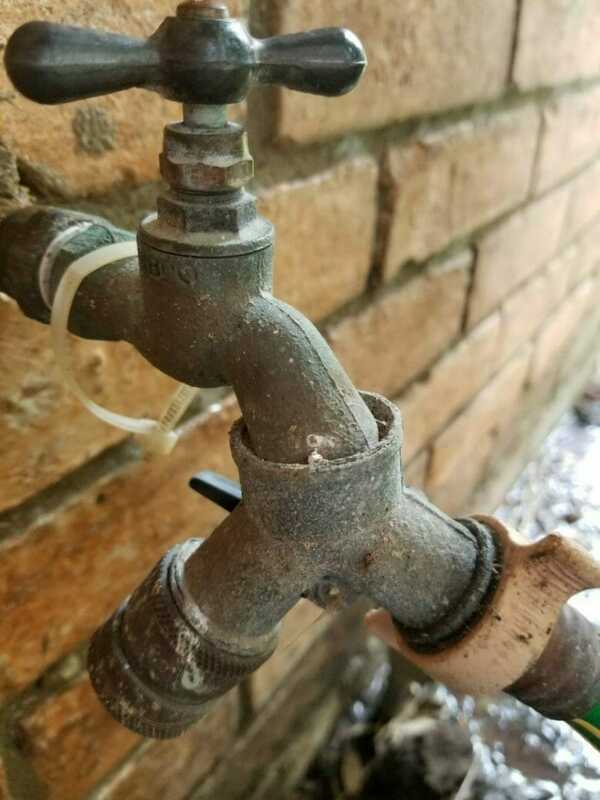 As you can see from the pictures above, one of the faucets outside of our house sprung a leak from what is called a hose bib. 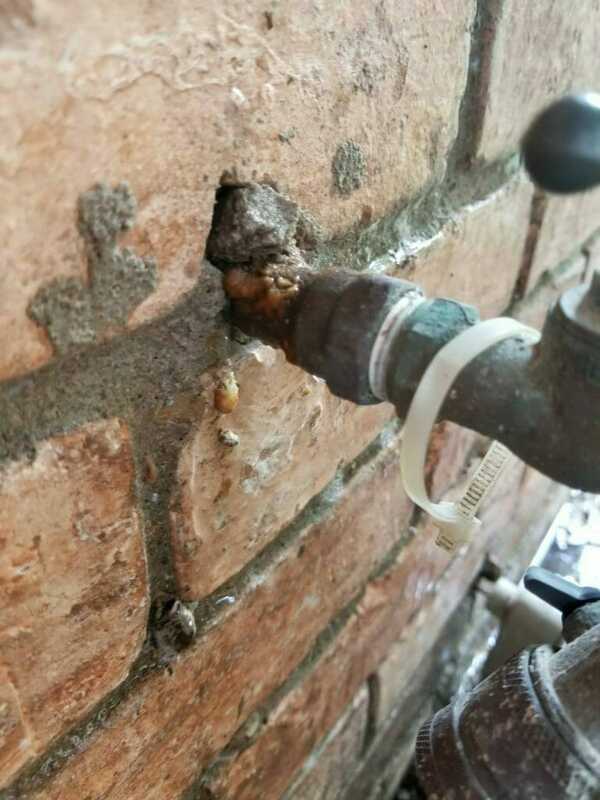 All of YouTube said it was an easy fix, if all the plumbing was exposed! Not so at our house. 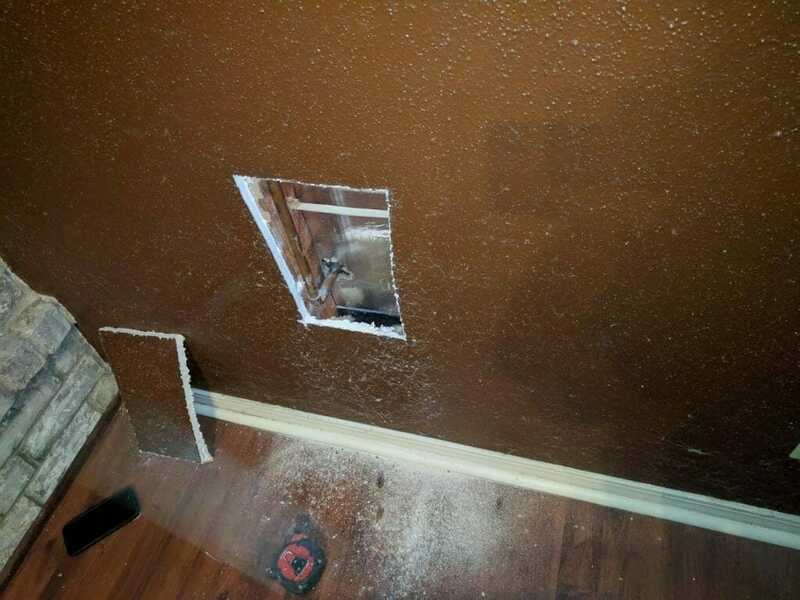 As you can see, in order for the plumber to get to the plumbing he had to go through the living room. Looked easy, but not something I could have done myself. I also had some other issues. There is a main water line cut off in the front yard that also leaked. Here is a video of the missus trying to cut off the main line. She did more than cut! So things kept getting worse. Not pictured are some valve leaks in our main restroom sink. All these issues were fixed with only my $100 deductible, and it is guaranteed for 45 days! I love my home warranty from American Home Shield. I highly recommend it to any homeowner. If you want to try it, you can use my referral link so that both of us earn a $25 Amazon gift card! I am on a mission to eat at all the Food Trailers in my surrounding area for lunch. This mission is part of the all new GromNom food series. 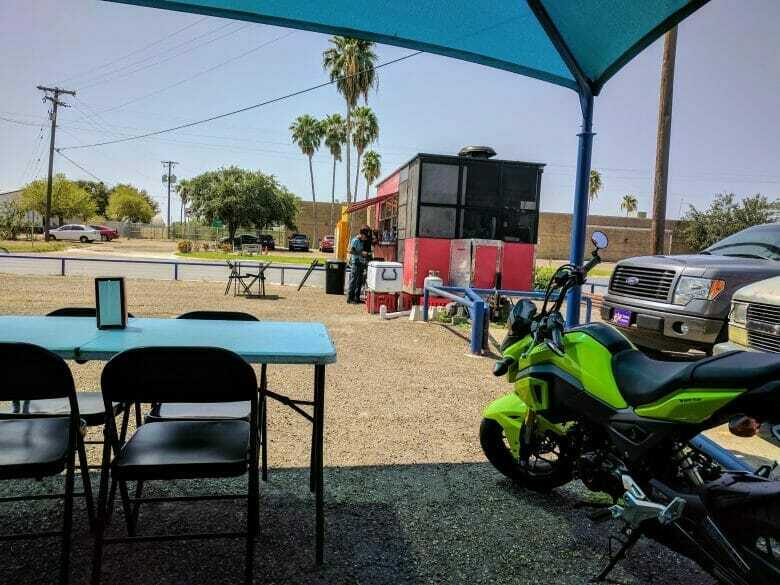 This GromNom trip took me to a food trailer parked inside a used car dealership towards the center of town. Juan More Taco is its catchy name. I had seen this trailer a few times while in the area but never considered it for lunch. That was until a new coworker, who is a recent transplant from Tyler, TX, recommended the spot. He raved about the Trompo, so for lunch, I hopped on the Grom and headed that way. It is in a pretty big parking lot so they have a nice setup. Lots of tables under a blue canopy. (The blue canopy gave my pictures a blue tint that was very filterish. I tried removing it). Even though there was lots of seating, I was the only one there for some time. I ordered the Trompo, but was told they were out so I went with an order of Fajita Tacos. An order of tacos at these places is usually 6 corn tortilla tacos. 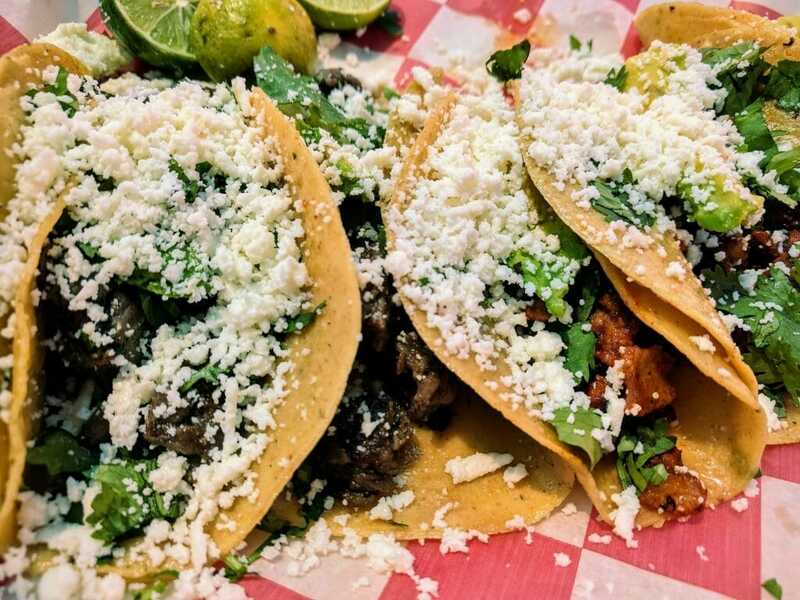 Also known as Street Tacos. 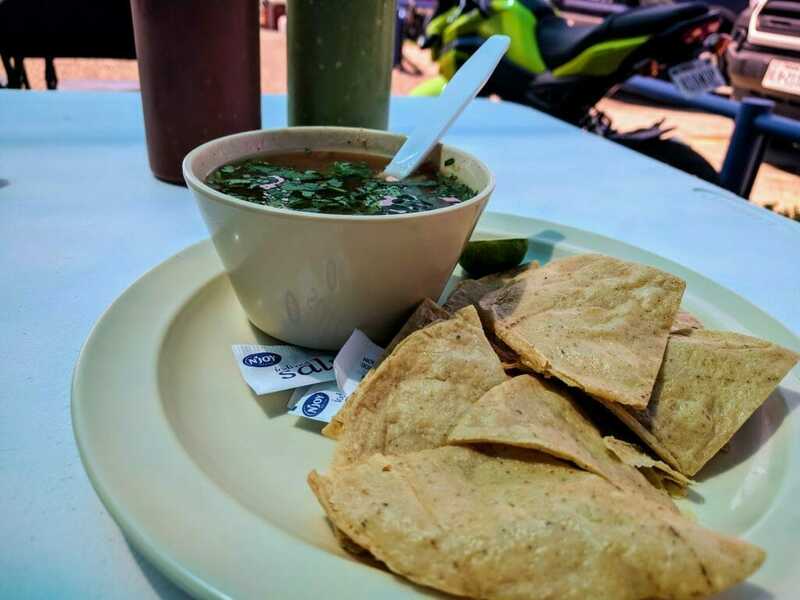 Along with your meat of choice, they are topped with Cilantro, White Cheese, Avocado, and Onions. (No onions for me though). As I was waiting for my food, another customer came along. We got to talking and he too raved about the Trompo. He loved that they are served with slices of pineapple. Trompo, is cooked in a red sauce and with pineapple, but is rarely served with pineapple. I really really wanted to try the Trompo! Luckily for me, as the girl brought me my chips, she told me they did have some Trompo after all! They only had enough for a half order, so I went with half Fajita and half Trompo. Amazing! The Trompo lived up to all the hype. Very tender, very juicy, very pineapplie! I have been back since and it was still so good. Find Juan More Taco on Facebook.